One of the great things about having kids is singing and dancing with them. They are my family, so it doesn’t matter if I have a perfect voice or know the trendiest dance moves. The most important thing is that we’re having fun and spending time together. I love it. When it comes to singing and dancing in public, I’m much more self-conscious. I usually tone things down from 11 on the amplifier to invisible. Knowing that the people around me aren’t my family, I expect there to be more laughing at me than with me. But that doesn’t stop me completely. When I need to work up the guts to sing in public, I think of a story my dad once told me. The story goes that when Neil Diamond was a $50/week songwriter on Tin Pan Alley, he didn’t think his voice was good enough to be a real artist. So, he spent years writing songs for other people until somebody finally recognized Neil’s voice was better than he thought and gave him the chance to become the legend he is today. Now, I’ve never tried to corroborate this story about Neil Diamond. More than likely, my dad turned Neil’s story into a Disney movie with an obvious message rather than a Behind the Music episode based on actual events. But the quasi-factual message was received. If a music legend like Neil Diamond can think his voice isn’t good, maybe my voice is better than I think too. Is it in the best interest of my family? Is it worth asking my wife to watch the kids by herself while I go have fun in California and brag about it on social media – a request that could earn me an infinite amount of extra chores when I got home depending on how the kids behaved while I was gone? Fortunately, Kia and my wife made the decision easy. It wasn’t anything new that Kia did, it was what Kia has been doing. When I’ve been going to parenting “blogger/influencer” conferences like Mom 2.0 and Dad 2.0 the last couple of years, Kia has been one of the most prominent companies supporting the parenting community. 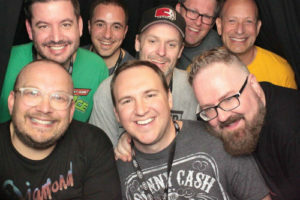 I’ve also been following the experiences of several of my friends who have partnered with Kia and watching how much respect there is for each other. So I knew Kia’s investment in family was real. My wife recognized it too and became my biggest cheerleader to go and learn more about the #KiaFamily we kept hearing about. What I found at the event was much more like singing and dancing with my family than a business trip. 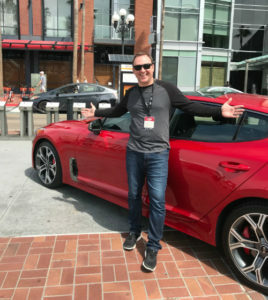 Sure, there was some information about Kia’s awesome new Stinger (which actually has enough room for kids in the backseat) and other popular Kia vehicles like the Sorento and Optima. I even got to do some test-driving without worrying about kids spilling anything in the seats behind me. 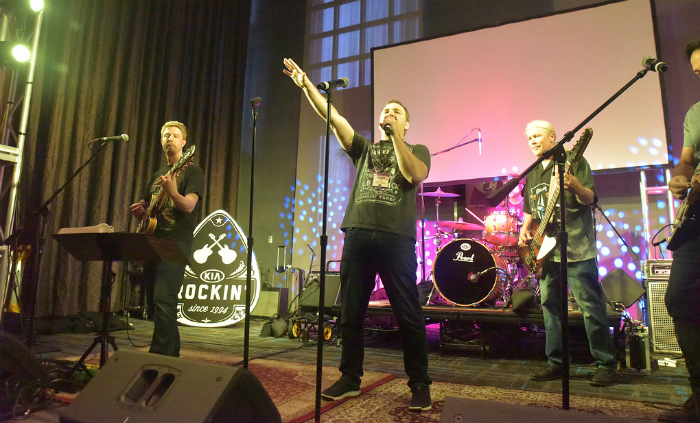 But more than anything else, the event was about bringing together people from across the country and enjoying themselves together – like family. The whole event made me appreciate #TheNewKia even more. It’s not just how Kia has transformed from humble beginnings to creating world-class cars. It’s how Kia is investing in its people, its drivers and its potential drivers. 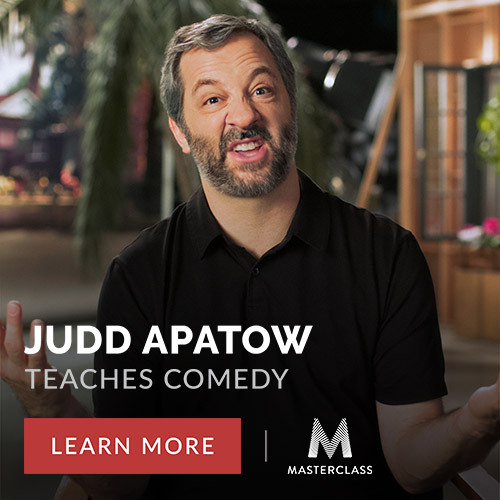 Any car company can hire a celebrity and buy a Super Bowl ad (which Kia also did with Steven Tyler this year). But Kia is thinking ahead and finding real people like me in the digital space and finding ways to connect with us and learn from us. Joining me at the event were about 45 or so other blogger/influencers, many of whom were parents like me. It made the event feel like a big family reunion, because we all see each other on social media and, more importantly, we share the same family values, Kia included. Karaoke was the last thing on the event schedule, and somehow I was chosen to sing first. Naturally, I chose Neil Diamond’s “Sweet Caroline.” Whether I sang great or not is debatable, but everyone treated me like my family. They sang and danced along with me and made me think maybe my voice is better than I think. 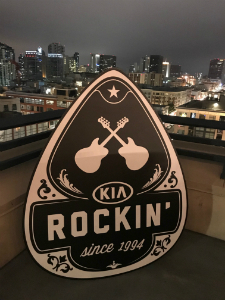 The whole event made me realize Kia truly is even better than I’ve always thought, and I now proudly consider myself part of the #KiaFamily – so much so that I stepped up to sing one more song before the karaoke night was over. I belted out Sublime’s “What I Got” because love is what I’ve got. *Kia didn’t pay me for attending their digital influencer event or to write this post, but Kia did cover my expenses for the trip. One of the best things about having kids is that they give you an excuse to do things you loved as a child but gave up when you became an adult. 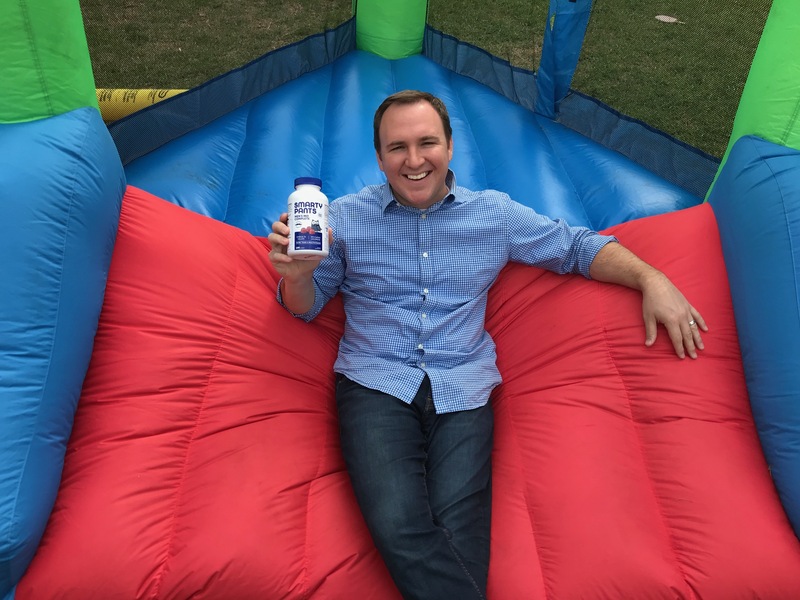 You get to jump on bounce houses again, build blanket forts, have water gun fights, drive remote control cars, catch lightning bugs and the list goes on. There’s one thing, though, that I never gave up between being a kid and having kids of my own: eating gummies. I love them. I love eating them at the movies. I love eating them on long-distance drives. And they’re the only topping I eat on ice cream and frozen yogurt. Gummies are my guilty pleasure. Correction: They were my guilty pleasure. Thanks to SmartyPants Vitamins, I can eat a delicious gummy while getting a full multivitamin, more than 100% of my daily vitamin D and B12, and omega 3 fish oil — all in one. SmartyPants Vitamins has always been about family, authenticity and a core commitment to our collective well-being. 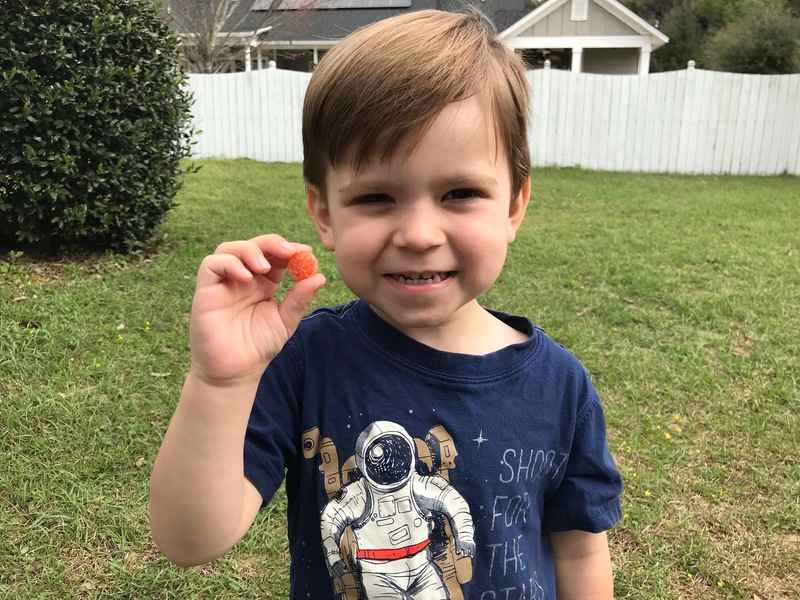 For every bottle of SmartyPants Vitamins sold, the company makes a 1-for-1 nutrient grant to Vitamin Angels, a non-profit organization that distributes lifesaving and life changing vitamins to children and mothers in need. This makes each bottle of SmartyPants Vitamins a little act of transformation – helping transform not only yourself into a healthy, happy person, but also into someone who can extend that same gift to countless others. If that wasn’t great enough, the formula for SmartyPants Vitamins actually saves you money, which is something that is particularly helpful to parents. 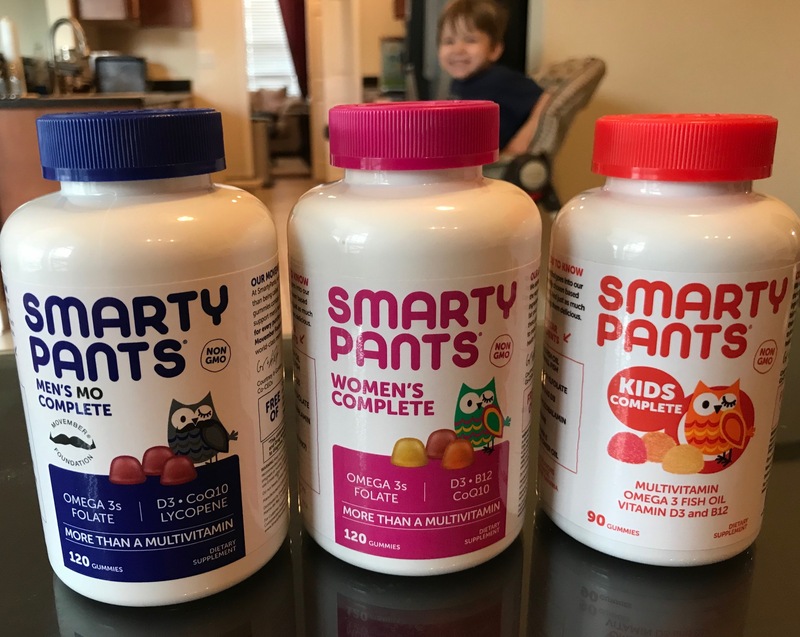 If you bought the same quality individual components separately, you would easily spend more than twice what SmartyPants Vitamins charges per bottle. It’s why SmartyPants was created in the first place: to simplify health for everyone. Since you were smart enough to keep reading to the end of this post, I’m going to let you know that I’ll be giving away a bottle of Kids Complete, a bottle of Women’s Complete and a bottle of Men’s Complete SmartyPants Vitamins to three winners, meaning each winner gets all three bottles. 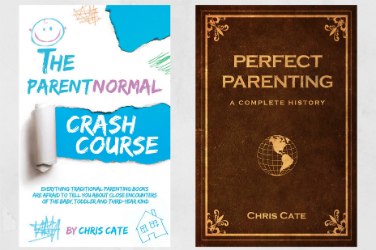 The ParentNormal was compensated by SmartyPants Vitamins for this post. 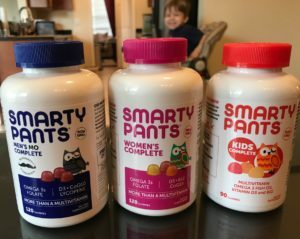 But my kids really do love taking SmartyPants Vitamins!